Adani has launched roadworks for access to the Carmichael coal project in Queensland despite delays in securing a key environmental approval from the state government. 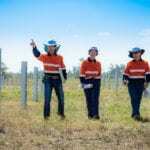 The Indian company, which has engaged a regional Queensland business for development of the road, has started the works under legal approvals it has already gained. Adani, after declaring the Galilee Basin project 100 per cent financed in late November 2018, expected to start construction of the mine and rail development last month. It has, however, been thwarted by the Queensland Government, which has not granted an environmental management plan approval required for the Carmichael development to progress. But work has this week started on grid by passes, according to Adani, which will allow larger machinery and equipment to be transported to site. Adani Mining chief executive officer Lucas Dow said the works were permitted under its current approvals and would also benefit future mines in the Galilee Basin. “The road upgrades are an important step to prepare for the construction of the Carmichael project to ensure larger equipment can be transported to site, and the infrastructure meets future demand for increased traffic,” Dow said. Dow said Adani had “certainty of process and timing at both the federal and local government level” for approval of the management plans to get started on Carmichael. “…however the Queensland Government has to date been unwilling to commit,” Dow said. Adani’s updated development plan for the Carmichael development involves a self-funded investment of $2 billion for a smaller mine than the company had previously proposed. 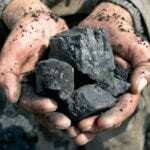 The initial operation would have annual production of between 10–15 million tonnes of thermal coal. Adani has appointed several contractors and suppliers for the development, including two Wangan and Jagalingou certified businesses to deliver job opportunities for Indigenous communities. “We know there are thousands of jobseekers ready to work and it’s frustrating when the Queensland Government continues to move the goal posts and make changes at the 11th hour, to what should be standard approval processes,” Dow said.